Be the first to share your favorite memory, photo or story of Doug. This memorial page is dedicated for family, friends and future generations to celebrate the life of their loved one. 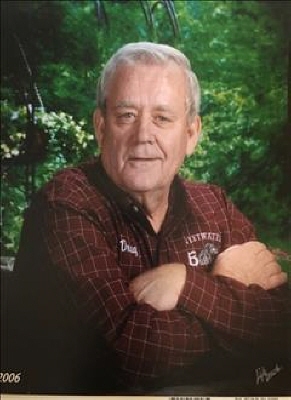 Douglas Wayne Hininger, 80, passed away Friday, January 25, 2019 in his home in Retrop, Oklahoma. Born August 2, 1938, in Woodward, OK, he was the son of Muriel Hininger and Iona Salisbury Hininger. Doug graduated from Fargo High School in 1957. He attended Northwestern Oklahoma State University where he earned a Bachelor of Science in Education and a Masters in Education. Referred to as the John Wayne of teaching, he returned to his alma mater, Fargo High School, where he taught science for nine years, served 10 years as the secondary principal and two years as the high school principal and athletic director. Mr. Hininger retired from his fulfilling teaching career in the Sweetwater public school district in 2015. Through Hininger Grasslands, he pioneered the process of planting Old World bluestem grasses and even planted on T. Boone Pickens farm. Doug is survived by his four children Dana Kimble and her husband Wayland of Chandler, Dustin Dusty Hininger and his wife Kelly of Fort Worth, Texas, Darrin Hininger and his wife Amy of Mustang, Courtney Karr and her husband Bryce of Springhill, Kansas; seven grandchildren, Caleb Roberts, Magen Kimble, Morgan Kimble, Weston Hininger, Madison Kimble, J.P. Halley, Garrett Hininger; and two great-grandchildren, Zoey Roberts and Zayne Roberts. A celebration of life will be held Thursday, January 31, 2019, 2:00 p.m. at the Billings Funeral Home, 1621 Downs Ave, Woodward, OK 73801. In lieu of flowers, memorials may be made to the Fargo High School Science Department, with the funeral accepting the donations. "Email Address" would like to share the life celebration of Doug Hininger. Click on the "link" to go to share a favorite memory or leave a condolence message for the family.